The number of girls seeking a university place this year is more than a third larger than that of boys. 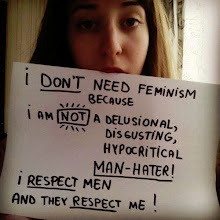 We all know this is a feminist controlled agenda, to take over the universities by shaming men at all turns...to prevent them to get an education. Which is pretty self destructive in it's own way. The problem is, where the boys use to to go into certain fields, like computers, architecture, science, so on, there is now a lack of students....we are falling deeply behind in math also. What the hell do you think could happen, in a society full of uneducated men; and women who do not tow the feminist line. Let's not forget, men have been genetically engineered since the beginning of civilisation by the "ruling elite" to be soldiers, warriors, through the worse violence imaginable? The future in this scenario...she don't look good. Look it up, historically, an uneducated population is not a desirable prospect for any society.